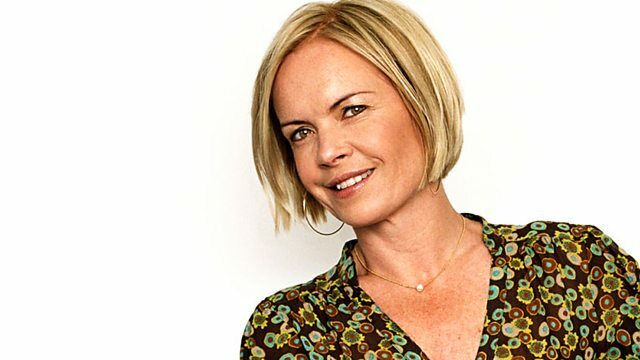 Mariella Frostrup talks to Margaret Atwood about her new book In Other Worlds, and discusses with Helen Simpson the challenges of writing fiction about climate change. Mariella Frostrup talks to the Canadian Booker prize winning author Margaret Atwood about her latest book "In Other Worlds: SF and the Human Imagination" which explores the writer's life long love of science fiction starting with the books she read as a child. Having published three SF novels of her own: The Handmaid's Tale, Oryx and Crake and The Year of The Flood, she argues that what she writes is speculative fiction, the distinction from other forms of science fiction being that the events she depicts are based in a reality which could actually happen. Award winning short story writer Helen Simpson joins Margaret Atwood to discuss the challenge of making issue based fiction readable with particular reference to the demands posed in writing fiction about climate change. Helen Simpson's most recent collection "In Flight Entertainment" focuses in particular on aeroplane travel reflecting in her short stories the tensions it raises in her characters personal relationships. Both writers contributed stories to "I Am With The Bears: Short Stories From a Damaged Planet" a collection themed entirely around climate change. Critics often dismiss issue based writing as leaden and not literary, so how are writers to depict an issue as large, complex and controversial as climate change within the demands of a literary narrative? And as Haruki Murakami's epic trilogy 1Q84 is published in English simultaneously in America and the UK, writer Hari Kunzru considers whether it lives up to the hype - it sold a million copies when it was first published in Japan in 2009. Is it Murakami's magnum opus, how does it relate to his other work and is it - as some critics have claimed - essential reading for anyone wanting to understand life in contemporary Japan. Uncovering surprising stories as beloved personalities talk Mariella through their books. Get closer to books with in-depth articles, quizzes and our picks from radio & TV.